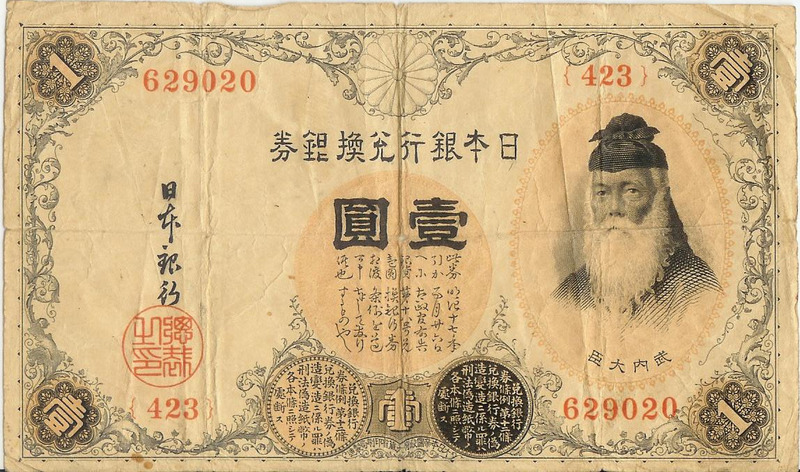 Here's a scan of a one-yen note bearing the likeness of legendary Japanese statesman Takenouchi no Sukune. World Tea News spotlights Mellow Monk! Damn the recession! Full steep ahead! © 2011 Mellow Monk, LLC. Picture Window theme. Powered by Blogger.